Week 3’s project is a thrift story treasure! I found this cute desk at a thift shore in Atlanta, and it came with an even cuter chair! I love the curves and the legs of this desk, but that hideously ugly purple color had to go. I also didn’t really need a desk in my apartment, but I did need a table on the wall behind my couch, and this seemed perfect. All it took was a little loving and a little more paint and this purple desk transformed into a beautiful entryway table. The first thing I did was sand down the table a little to get some of that ugly purple paint off. Using stripping gel would be easier, but I didn’t want to have to scrape the old paint off. I knew the thick Behr paint would be thick enough to cover the purple, so I wasn’t that concerned about getting all of the purple paint off. Then I started painting! I started on the top first, then moved to the edges, the sides, and the legs. The legs were the hardest to paint because they were skinny and round. After the first coat was dry, I did a second coat on everything but the legs. After the 2nd coat was completely dry, I flipped the desk over and did the second coat on the legs. 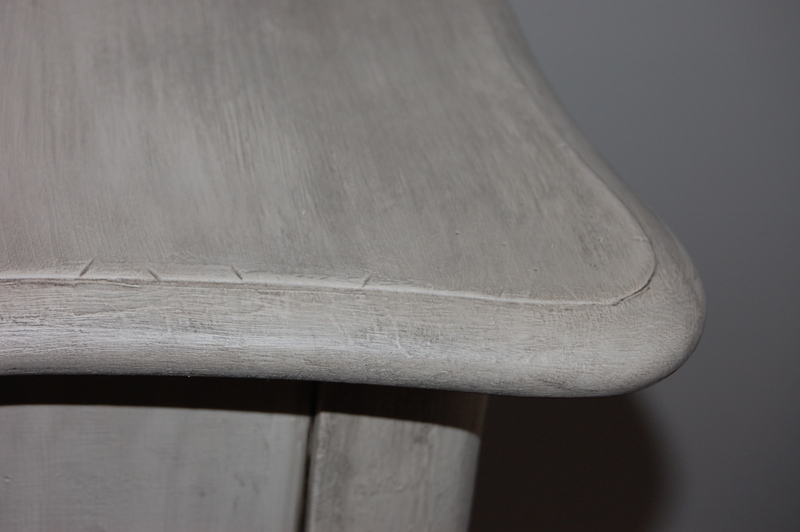 Once the legs were dry, I flipped the desk back over used the antiquing glaze to give the desk a distressed look. See my previous post on how to distress. 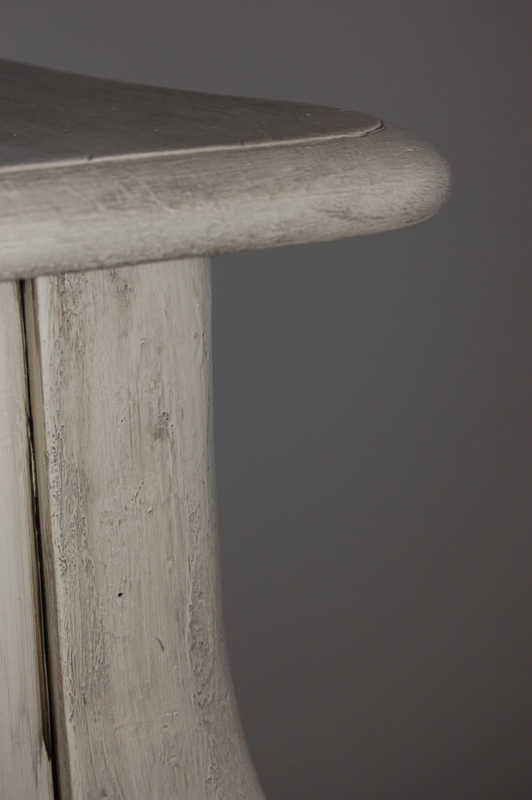 Here are a few up close pictures after the distressing. The antiquing glaze really brings out the character in this old desk. Easy enough, right? 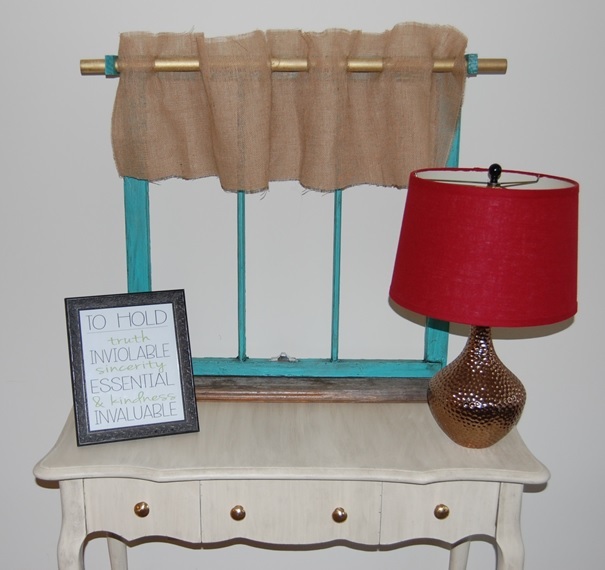 Top it off with a lamp, a framed quote, and an old window as décor, and this old desk is turned into cute little entryway table!